He can use the Force, he's dope with a lightsaber, and now he can crack nuts? What can't Yoda do? 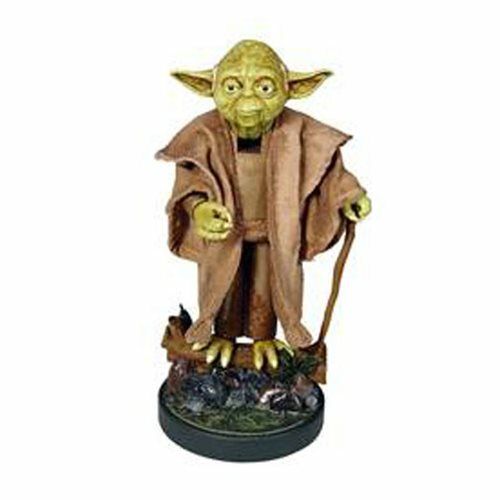 This Star Wars Yoda Movie 12-Inch Nutcracker features the Jedi Master looking just like he did in The Empire Strikes Back upon first meeting Luke on Dagobah. He measures 12-inches tall! Ages 14 and up.